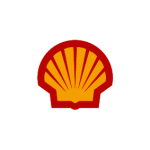 Shell is a global group of energy and petrochemicals companies with far-reaching and wide business interests - from oil exploration to power generation to consumer services. We play a key role in helping to meet the worlds growing demand for energy in economically, environmentally and socially responsible ways. Our commitment to technology and innovation continues to be at the core of our strategy. As energy projects become more complex and more technically demanding, we believe our engineering expertise will be a deciding factor in the growth of our businesses. Our key strengths include the development and application of technology, the financial and project-management skills that allow us to deliver large field development projects, and the management of integrated value chains. The application process for our graduate programmes is rigorous, but is designed to enable the most talented graduates to stand out. After submitting an online application, you will be invited to complete our online assessments and our on demand interview. Successful candidates will be invited to final stage of the selection process in a virtual assessment. This stage includes a live virtual case study session with two Shell employees who will host the discussion. You will be assigned a topic relating to an aspect of your case, and then asked to prepare a presentation. A career with Shell is more than just a day job. Its an opportunity to join a company that tackles real world problems. Also, joining Shell means getting more out of your working life than you thought possible. At Shell, we believe in offering you a wide range of career routes. The scale and global reach of our business means we have a huge range of both technical and commercial opportunities for graduates and early career professionals. You will receive extensive training, making sure that you are equipped for your job and training your leadership capabilities. There are two routes to secure a job in Shell. Option A: Apply directly for a job in the Shell Graduate Programme. Option B: Succeed in an Assessed Internship and you will be offered a place on the Shell Graduate Programme. 1. Visit our careers site (www.shell.nl/studenten). This is where you will find our graduate and intern opportunities and learn more about life at Shell. - A general cognitive test, with numerical, verbal and abstract reasoning. - An assessment of your ' working style' . - A self-recorded video submission. - Graduates: A virtual case study session with two Shell employees and an interview. - Interns: A virtual case study session with two Shell employees. Grads: You may be invited to our offices to meet your future manager and other Shell graduates. Interns: You will be offered a place on the Internship Programme.